What constitutes great content? A unified content strategy depends on structured content that is well written, appropriate for the information product, buyer-relevant; clear, concise and consistent. 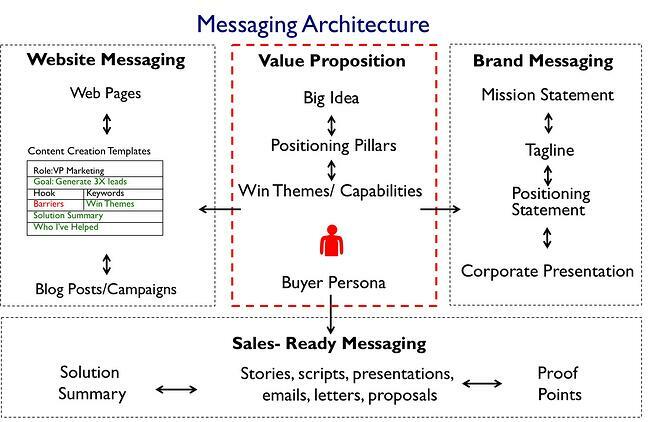 We help clients structure their content for reuse in a Messaging Architecture that is used to create aligned brand messaging, website content, sales-ready messaging and customer-service conversations. Together with sales enablement, marketing and sales operations teams, we collaboratively create, manage, maintain and deploy messaging within the WittyParrot intelligent content distribution platform across enterprises and to partners.